Ever dreamt of the park home lifestyle? Want to live life to the max with a new carefree lifestyle, in a community of like-minded people? Imagine you're in a residential park with every facility you need, in a location you love, and a home that you have designed. With Willerby, that dream could be yours sooner than you think. If you're thinking of downsizing or just want less maintenance, then park homes are a lot less hassle. Your council tax and utility bills are less, and you could free up some capital to enjoy your new lifestyle. Created and styled by talented designers, you get all the latest trends built to the highest standards – and exactly how you want it. After all, it's your home, your choice, your life. 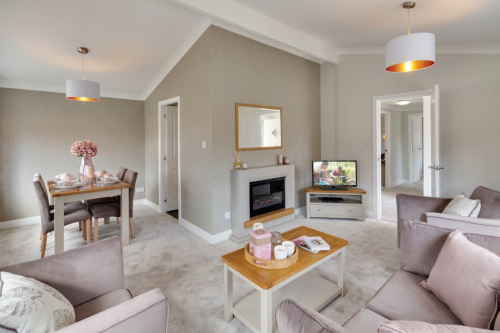 Park Homes by Willerby are a collection of three models named the Hazlewood, Charnwood and Delamere. Built to exceed BS3632 residential standards, these homes are robustly built (benefiting from a 10 year Goldshield Warranty), highly energy efficient and offer stunning interior designs to ensure you're the envy of all your neighbours! The launch range is available to view at the Caravan Extravaganza in Hull.